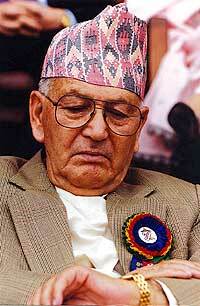 Former Prime Minister Surya Bahadur Thapa passed away late Wednesday night. He was 88. Rashtriya Prajatantra Party’s joint spokesperson Kiran Giri confirmed Thapa’s death, according to the state-owned Nepal Television. Thapa had undergone a surgery at Medanta Hospital in New Delhi, India a few days ago. He was put on a ventilator after he complained of respiratory problems Wednesday evening. Thapa served as Nepal’s Prime Minister for five times – a record that no other Nepali politician has ever made. In his political career spanning around five decades, he worked under three kings and was an outspoken advocate of the monarchy until the first people’s movement-1990. However, even after restoration of multi-party democracy, Thapa became Prime Minister twice and also chaired some sessions of the Constituent Assembly (CA), which declared Nepal a republic in 2008, as the eldest lawmaker. Thapa, who hails from Muga VDC of Dhankuta district, was one of the most influential politicians during the 30-year-long Panchayat system. His son Sunil Bahadur Thapa is now serving as Minister of Commerce and Supplies. It’s sad. For his family. He’ll be remembered. For his role in prolonging Panchayat in 1980. The demise of Surya Bahadur Thapa- one of the most successful leaders and former Prime Minister of Nepal- is really a sad news. His demise yet ended glorius pages of the history of modern Nepal…He will be remembered as the PM who became PM for 5 different terms under 3 different kings of Nepal, supporter of monarchy, political career spanning 50 yrs and also as a man who envisioned the various development projects and his political ups and downs. Is tommaro holiday in nepal for his death ?